for $869,999 with 3 bedrooms and 1 full bath, 2 three quarter baths. This 2,000 square foot condo was built in 1979 on a lot size of 0.5360 Acre(s). Sherman Oaks designer penthouse has just been reduced and sellers are motivated! 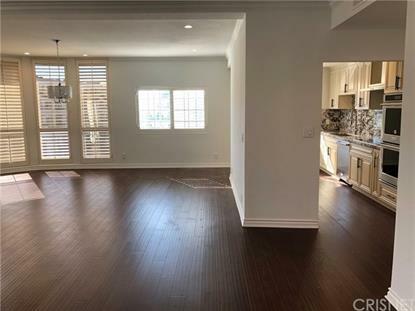 This unit offers city and mountain views, boasting 2000 square feet and is steps from Ventura Boulevard, Ralph's, Trader Joe's and the Westfield Mall! This breathtaking light and bright unit was remodeled from top to bottom. As you walk in, you will notice the stunning use of brand new wood flooring which spans the entire unit in this enormous, open floor plan with a fireplace in the living room. The Chef's kitchen is equipped with state-of- the-art Kitchen Aid appliances including 5 burner induction cooktop, double convection oven, side by side refrigerator and new cabinetry. The unit has been equipped with recessed LED lighting throughout, a Nest Thermostat, custom crown mouldings and baseboards. There are three (3) balconies and 9 foot ceilings! The master bath boasts illuminating carrara marble floors, stone tile design work, new dual sink countertops and custom mirrors in both main bathrooms offer plenty of counter space and luxury design elements. All bathrooms and showers have been outfitted with custom cabinetry, tile, marble, and shower doors. The bathrooms feature stunning marble and granite throughout. Stackable washer/dryer in unit. The unit comes with a two car tandem parking spot and an additional single space totaling three (3) parking spots. There is an indoor pool, jacuzzi and sauna. HOA covers water, gas, trash and EQ insurance. Guest parking in alley for visitors.